Many women with a prior cesarean who want a Vaginal Birth After Cesarean (VBAC) are counseled that they are not "good candidates" for a trial of labor because a VBAC Prediction Model suggests that they have a very low chance of VBAC "success." In particular, the MFMU VBAC Prediction Model considers weight a strong negative predictive factor for VBAC. As a result, many obese women are told that their chances for VBAC are very low, implying they might as well just sign up for the repeat cesarean now. 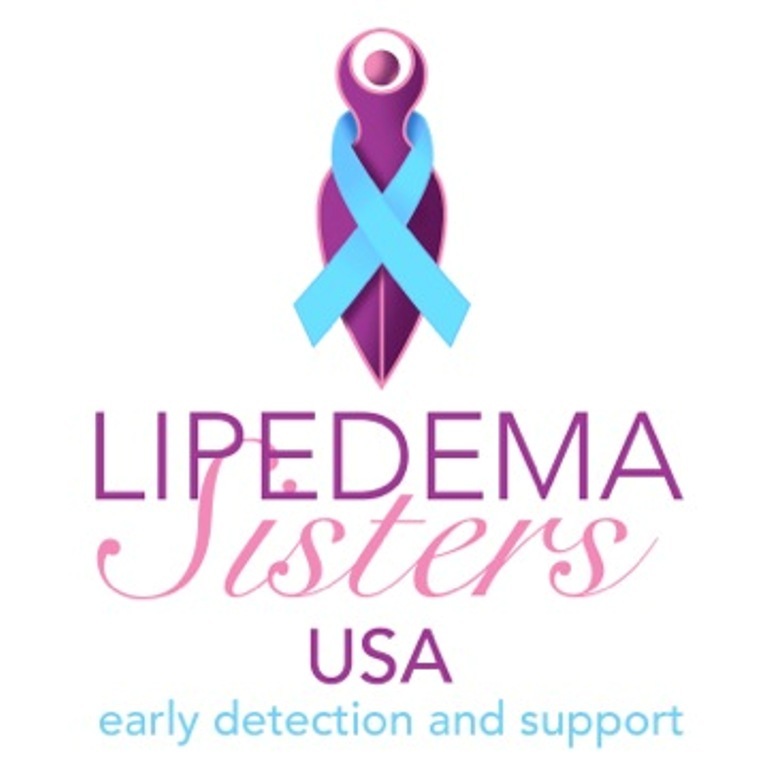 Many doctors strongly discourage VBAC in women with a high Body Mass Index (BMI). Some hospitals and practices even have BMI restrictions on who is allowed to have a Trial of Labor After Cesarean (TOLAC). Similarly, many women of color are discouraged from pursuing a VBAC because they are told that they have a lower chance of success. Imagine the negative pressure against VBAC when these two factors intersect in a high BMI woman of color! However, a recent study from UCLA actually examined how predictive this model was in their institution. They found that it was highly accurate for women predicted to have a very strong chance of VBAC. But to their surprise, they found it was NOT that accurate for women predicted to have a low or moderate chance of VBAC. The difference was particularly striking for those predicted to have a low chance of a VBAC. 57% of this group actually had a VBAC, when only 29% were predicted to have one, nearly twice the expected rate. Of particular note, the authors also documented that, unlike the MFMU prediction model, neither BMI nor ethnicity were associated with lower rates of VBACs in their institution. This is especially meaningful to the many women of color and women of size who have been actively discouraged from pursuing a VBAC because of the MFMU prediction model. It also suggests to me that risk perception and the way women are managed in labor (higher induction rates and a lower surgical threshold are common in TOLAC in high BMI women, for example) may influence VBAC "success." Personally, my VBAC prediction scores were extremely low (22%!) due to multiple risk factors, yet I went on to have not one but two VBACs. If I had let negative predictions discourage me, I would have missed out on my VBACs and their easier recoveries, and I would have been exposed to increased risk for placenta previa and accreta by having additional scars on my uterus. 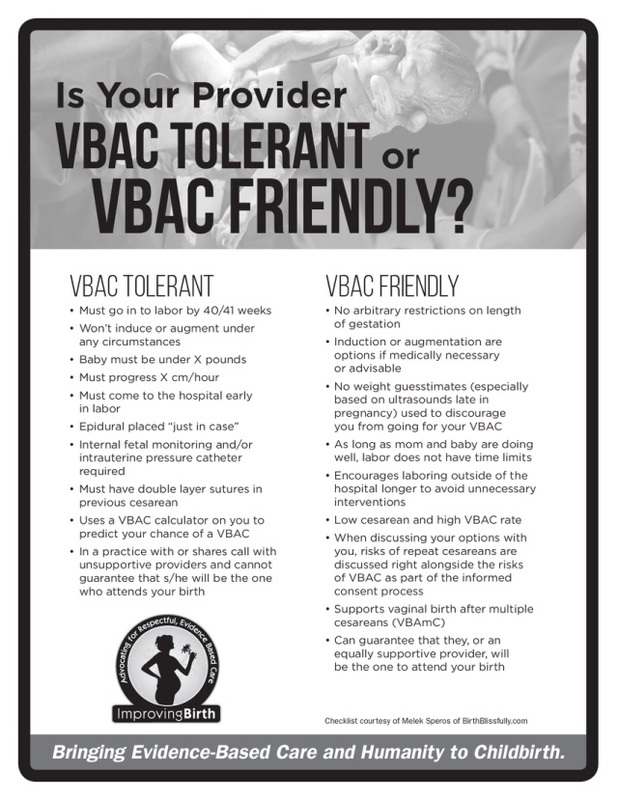 I know from my work with the International Cesarean Awareness Network (ICAN) that many women are told they have a poor chance at a VBAC and yet go on to have a VBAC anyhow. In fact, few women meet all the "ideal conditions" for VBAC success, yet most will go on to have a VBAC. If you have been told that you are not a good candidate for VBAC because of your BMI, your race, or various other factors, remember this study and the anecdotal experience of so many women in ICAN. It's okay to consider risk factors, but don't let them overly influence your decision. Group risk factors don't predict what will happen with any one individual. As part of efforts to safely decrease cesarean rates in the United States, patients interested in TOLAC (and their providers) should not be discouraged by a low predicted success score. First hospital I went to after returning from South Korea told me that I had only a 15% chance of succeeding with a VBAC because of my BMI. Due to that, she refused to allow me a trial of labor. I was over 30 weeks pregnant but I canceled the rest of my appointments with her and went to the other hospital. The doctor there was what I would call between tolerant and friendly towards a VBAC. 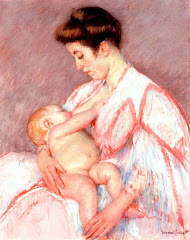 He at least figured that if he didn't at least give me a trial of labor I would go to a midwife. And he was right because that was going to be my third option. As it was, I hired her on as a montrice which, for me, worked out very well and I had my VBAC. Showed them. Unfortunately, it didn't stop my doctor from fat shaming me at my six week appointment while my colicky baby was screaming in the waiting room with my sister (and later, a nurse).